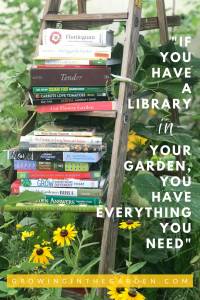 The summer months are challenging for desert gardeners – the ridiculously hot days seem to go on forever, and we get antsy in anticipation of Fall and planning our Fall gardens. 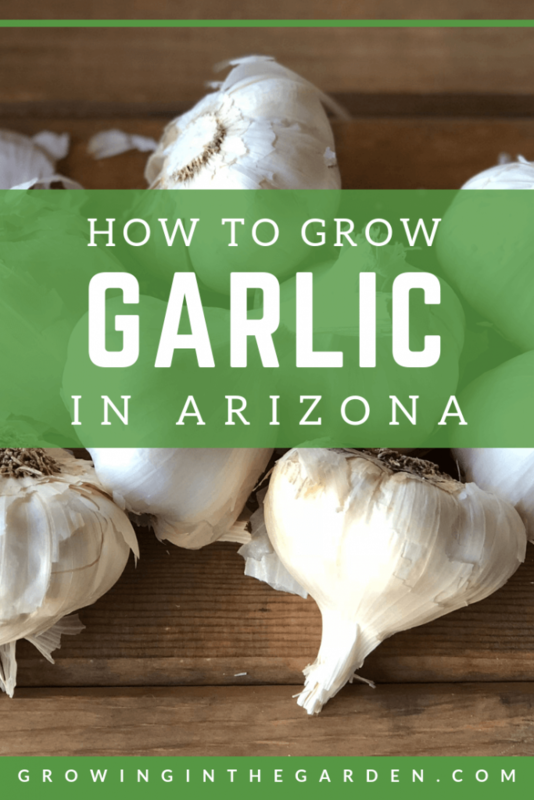 This, however, is the perfect time to research new things you want to grow during Fall, and if you have not tried growing garlic in Arizona yet, definitely consider learning how to grow garlic in Arizona. Garlic is harvested around July and August around the country (Arizona is an exception). Therefore, seed companies open up garlic pre-sales around this time. I find it fascinating to research all the different websites to see what is available for sale. Baker Creek normally has a great selection. I also look at Terroir Seeds, Territorial Seed Company, Peaceful Valley Farm and Seed Savers Exchange. You could even purchase locally from Forever Yong Farm in Amado, Arizona. The garlic you purchase for planting is referred to as seed garlic, it is not actual seeds but garlic bulbs. Seed companies start mailing seed garlic out to home gardeners in September. I check my email consistently everyday, waiting for the notification that my garlic has been mailed to me. Once I receive that notification, I check my mailbox every single day because I do not want my garlic sitting in the heat for longer than necessary. Seed garlic sells out very quickly, especially the new varieties or favorites, so I like to order as soon as I can. Garlic is classified as hardnecks or softnecks. Hardneck garlic is said to be more flavorful, and does really well in cooler climates. It makes smaller bulbs and does not always perform well in Arizona’s very mild winters. As an insurance, when trying a hardneck garlic, I also recommend planting a softneck variety. Softnecks perform better than hardnecks in warmer climates like Arizona. Softneck varieties are the ones that are seen beautifully braided. They are also the ones most sold commercially as they store much better than hardnecks and form larger bulbs than hardnecks. Do not think you are sacrificing flavor by getting a softneck garlic. I find them to be just as delicious, but perhaps a little more subtle. I am planting K’s Backyard and Inchelium for my softnecks, both are very flavorful and do really well. This year I was also very drawn to a hardneck and added Kettle River Giant from Baker Creek Seeds to my list. 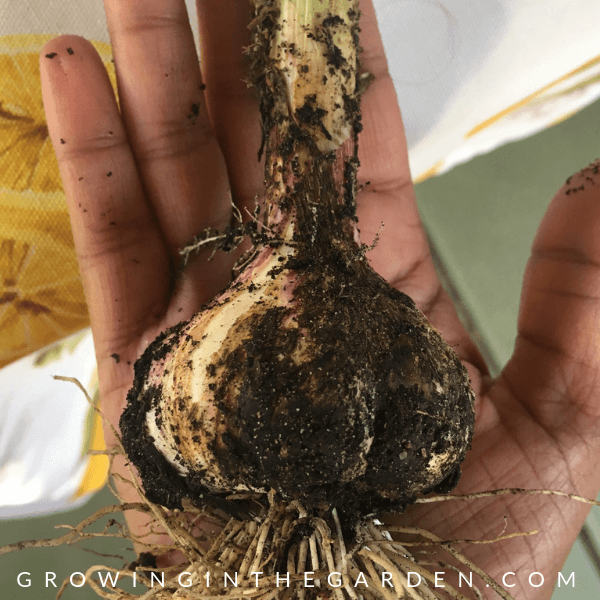 Elephant garlic can be grown the same way and has a much milder flavor than true garlic. It is not really a garlic but actually a variety of leek. Recently, black garlic became a popular item in the culinary world and several gardeners want to grow black garlic. 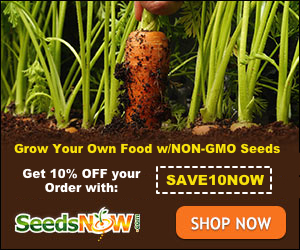 Garlic seeds for black garlic show up on Amazon, but this is a scam. Black garlic happens with a fermentation process of any regular type of garlic. 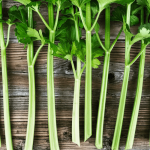 It has a different type of complexity in flavor and works well in a variety of dishes. When you receive the garlic, do not separate the cloves of the bulbs. Place whole cloves in a brown paper bag in the refrigerator for at least 6 weeks. 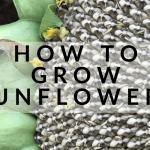 This is called vernalization – it is a process for treating seeds and bulbs with cold, triggering germination or correct bulb formation. In Arizona, the time to plant the bulbs is in October. 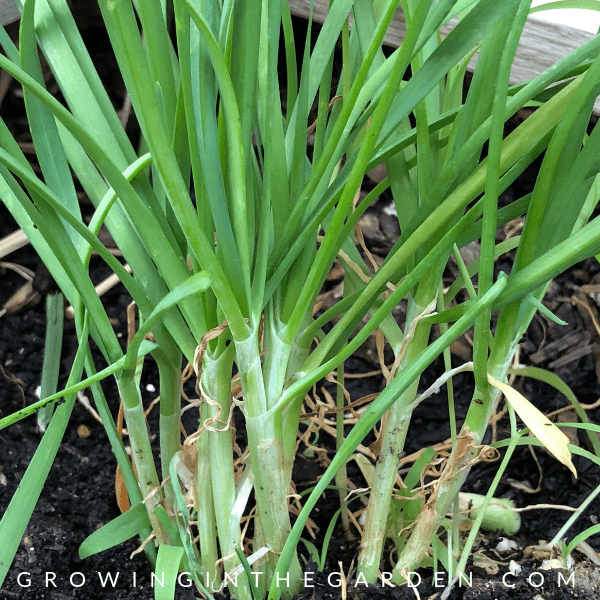 This allows for the garlic to start forming a strong root system, you may even see some of the leaves start to sprout. The garlic will then overwinter and bulb up starting early Spring. Plant 3-4 inches deep. I plant mine about 4 inches apart from each other, but spreading them out further if you have space is even better. The flattened side on the clove is where the roots will develop and should be the side that is down in the ground. 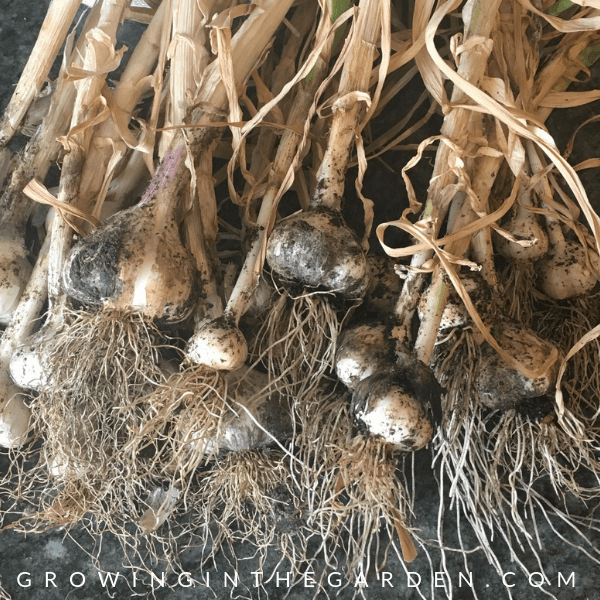 Plant garlic in loose, really rich soil that is well draining. Use the best compost you can, and add in mycorrhiza. You could also add any of the following amendments: blood meal, seabird guano, coop poop (the fertilizer product) and well-composted chicken manure. 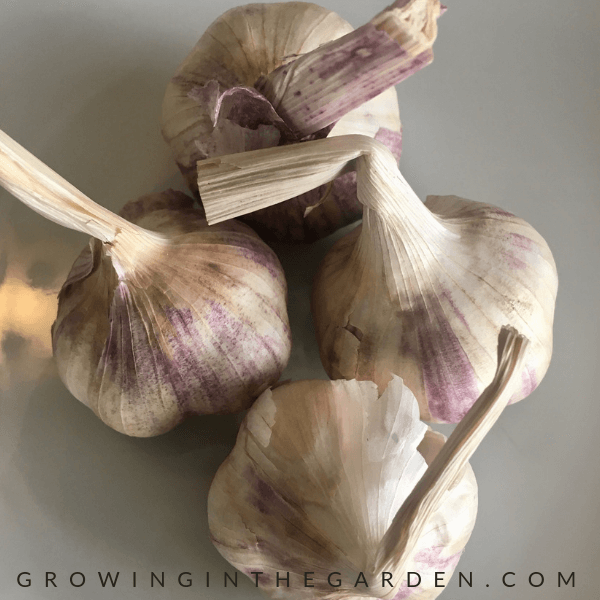 Garlic needs lots of phosphorus, which needs to be added at the root zone, so any phosphorus rich amendments need to be added before planting. Cover with a thick layer of mulch and water in well. Wait for soil to be almost dry before watering again, as overwatering can rot the bulbs. I give a little liquid seaweed every 2 weeks. 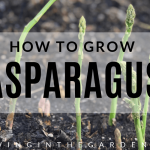 In early Spring, fertilize with fish emulsion – this is when it will start to put out the bulk of its leaves and will need more nitrogen. A top dressing of manure or blood meal will be beneficial. Consider planting in deciduous tree wells. 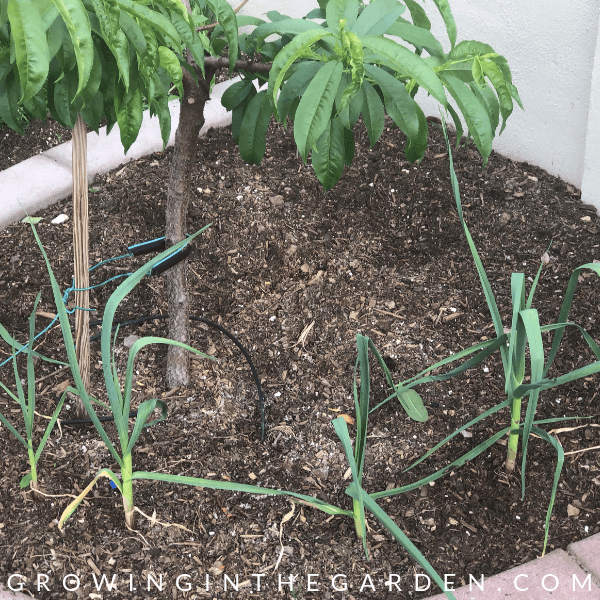 They will get good early Spring sun, but the trees will provide good shade as we move into the hot days of late April and May, and the garlic will keep the trees healthy as they repel several insect pests. Plant in an area that will get at least 6 hours of sunshine, but dappled shade toward May. Hardneck varieties: In late May to June, when most of the garlic’s leaves start to brown, they are ready. Once the bottom 3-4 leaves start to turn brown, dig up a test bulb to check on size. 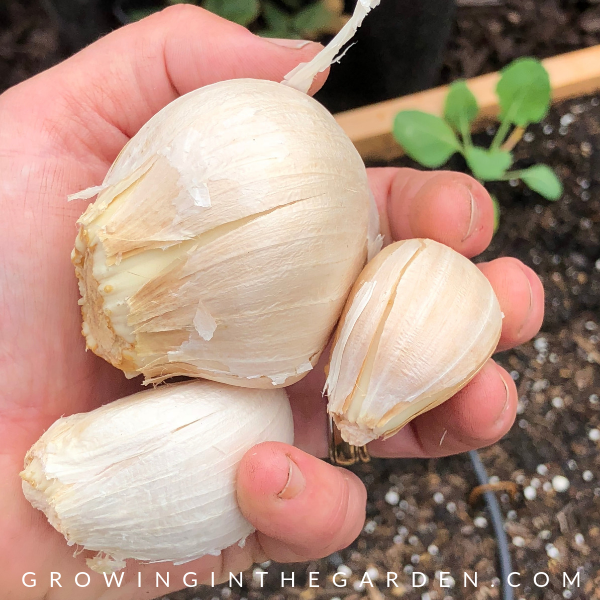 If you leave them in the ground too long, the cloves will will start to split apart and the garlic will not store well. 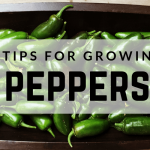 Plant out the smaller cloves for green tops. Garlic tops, or green garlic, is a delicious addition to dishes. The moment the curly bud-like stem appears, remove it. This is the scape and is delicious! If you leave it, the energy goes to the flower and not the bulb. If left, the scape will flower and produce garlic bulbils. 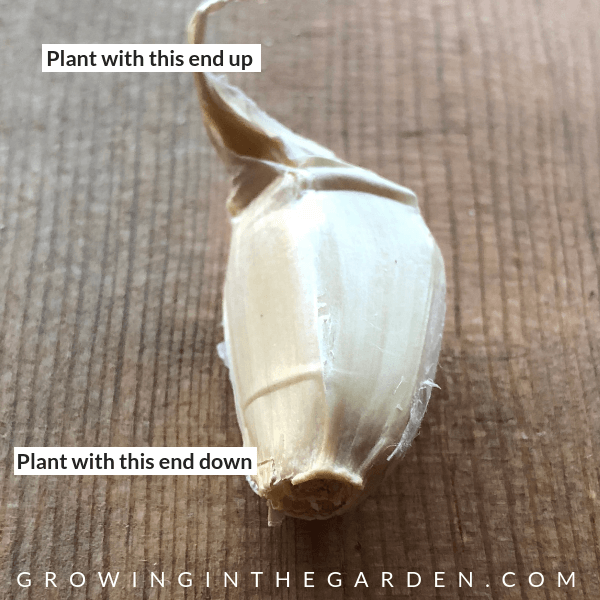 If left to dry, these will produce actual garlic seeds, however they are extremely difficult to germinate and therefore garlic is propagated from the bulbs rather than seed. Before they dry, the bulbils can be used to flavor food. They have a lovely garlicky flavor and a little bit of crunch. Sprinkle on salads, dips, eggs and fish. Softneck varieties: Wait for the stalks to fall over, like onions. 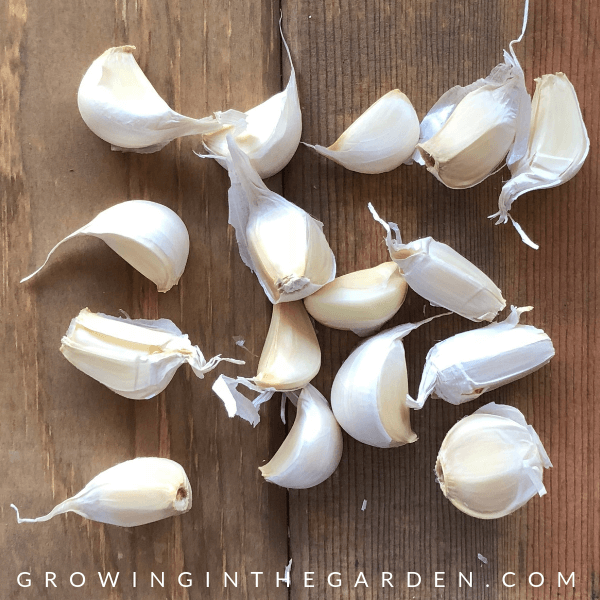 Never pull garlic out of the ground as you could pull the leaves off, and that will impact the curing process. Instead, use a hand shovel to help gently lift the bulbs from the soil. Holding back water for a couple of days before harvesting will help to lift cleaner bulbs from the soil. I leave mine outside in the shade for a couple of days before I bring them inside to finish drying in a much cooler area. 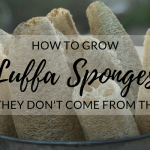 Dry them where humidity is low; the kitchen is not a good spot. Once the necks are completely dry, you can cut them off and store the bulbs in the fridge. Softnecks can be braided and left to complete the curing process. The drying process will take a few weeks. 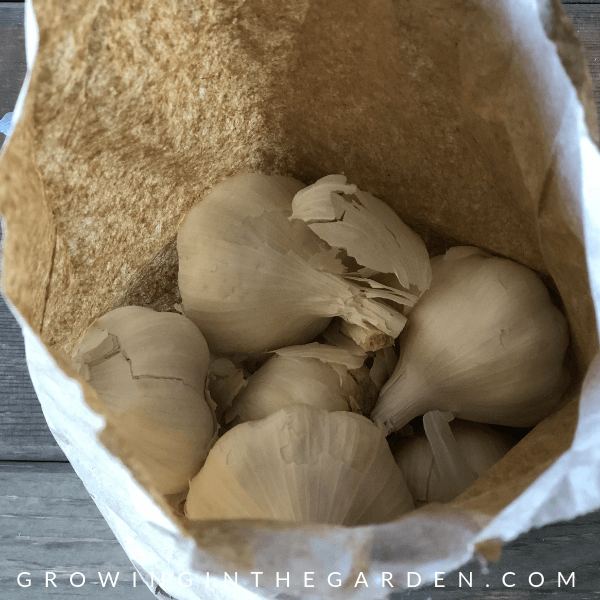 Garlic can then be stored, and enjoyed until the next planting season! About Ayshica Andrews: Ayshica’s day job is a career in Real Estate. 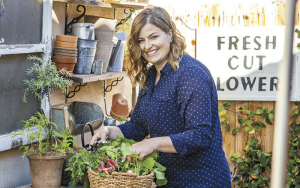 Her passion for gardening has awakened a deep desire to combine the two and bring her love for gardening into what she does. 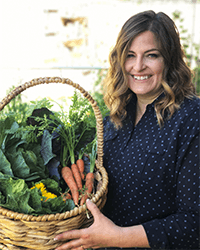 She focuses on a special niche market, helping all kind of gardeners from the small urban backyard to the permaculture enthusiasts and food forest growers, as well as the modern homesteader. Ayshica is studying permaculture with Matt Powers. She is also a Maricopa County Master Gardener. 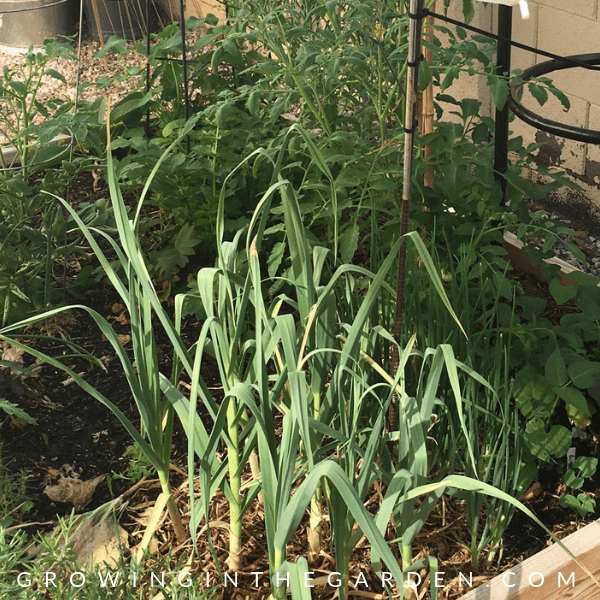 Ayshica enjoys growing a variety of fruit and vegetables, culinary and medicinal herbs, and flowers at her space, “Solitary Bee Backyard Farm”. She always looks for the next unique or rare plant addition and she always finds one more spot to plant it. 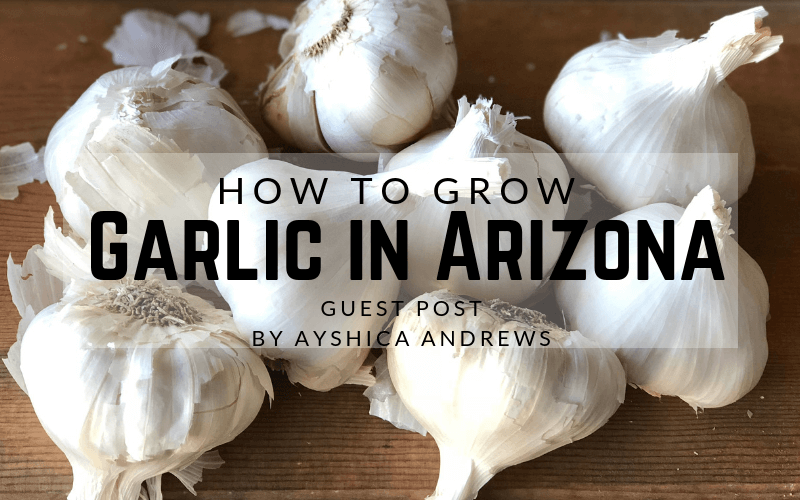 Ayshica thinks there should be a special name for all of the home gardeners who are passionate about food growing in our humble desert backyards. She calls it AgriSteading! 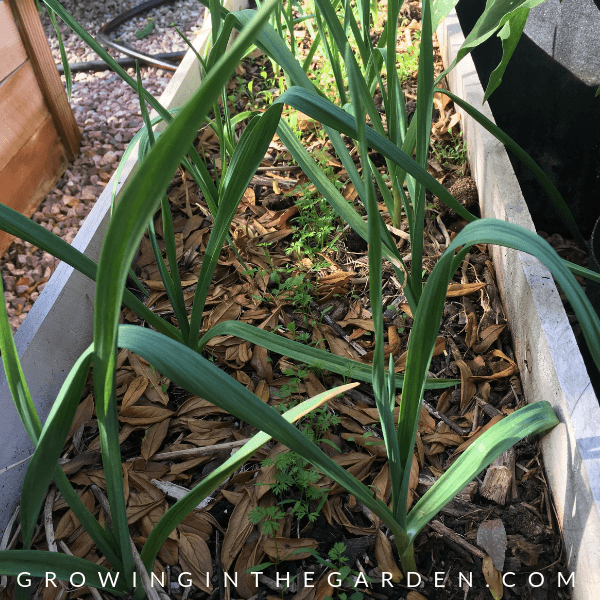 I planted my garlic and onions into ½ whiskey barrels against a west facing wall. This was great protection during the winter but wondering if I should move to a cooler/shader location now that temps are going up. They both have 1 ½ ‘ green tops on them. I am in Gilbert. If you have another spot with afternoon shade that you could move them too, it may keep them from drying out quickly and getting stressed. If not, be sure to water them well. Containers dry out more quickly and need to be watered about daily when our temps heat up.